230 Stones River Mall Blvd., Murfreesboro, TN 37129 Local Mexican cuisine with extensive menu and exclusive house specials! Bread stuffed with mayo, beans, country fried steak, garnished with lettuce, avocado, onions, jalapenos, tomato. A crispy flour tortilla bowl filled with chicken and/or steak, or shrimp, topped with cheese, lettuce, sour cream, guacamole, and pico de gallo. 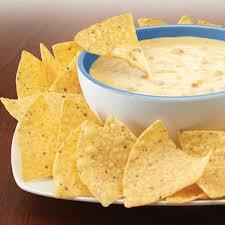 Topped with melted cheese and cheese dip, served with sour cream. 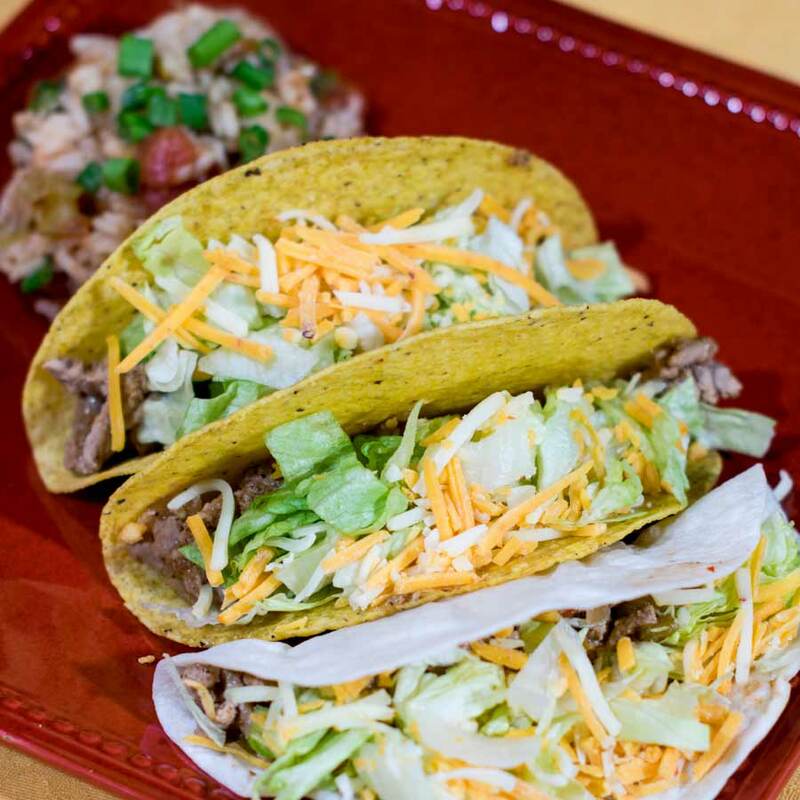 Three soft corn or flour tortilas filled with your choice of grilled steak, grilled chicken, chorizo, or carnitas, cooked with onions and fresh cilantro, served with rice, salad, and spicy green and red sauce. A large flour tortilla stuffed with meat and cheese, then grilled to perfection. Served with rice, beans, sour cream, guacamole, and pico de gallo. Filled with your choice of grilled chicken, steak, or shrimp, cooked with jalapeno peppers, onions, and tomatoes. Served with rice, beans, sour cream, guacamole, and pico de gallo. 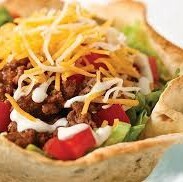 A crispy flour tortilla bowl filled with your choice of ground beef, shredded chicken, or shredded beef, topped with cheese, lettuce, sour cream, guacamole, and tomatoes. One ten-inch quesadilla fllled with grilled chicken or steak, Four hot wings, Two chicken taquitos, Four grilled shrimp, and a bowl of our signature Mi Patria Dip. Chunks of avocado mixed with chunks fresh tomato, with cilantro, onions, jalapenos, lime juice, and seasoned salt. Melted Chihuahua cheese topped with spicy chorizo, grilled onions, bell peppers, tomatoes, and mushrooms. Served with tortillas. Three flaky pastries stuffed with cheese and your choice of shredded chicken, shredded beef, ground beef, or just cheese. Served with lettuce and sour cream. Delicious fried and breaded mushrooms served with cheese dip. (15) delicious jumbo shrimp with shell on, sauteed on our spicy red sauce. Flour tortilla stuffed with spicy blend of chicken, spinach, cheese, black beans, red peppers, and jalapenos. Served on a bed of lettuce, topped with cheese dip. Served with Celery and Ranch Dressing. Available in 6 count or 12 count portions. Corn tortilla chips topped with beans, ground beef, shredded chicken, and cheese, covered with lettuce, sour cream, tomatoes, and shredded cheese. 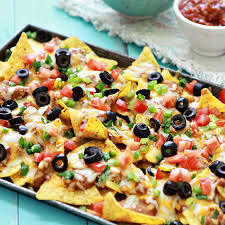 Corn tortilla chips with beans, chorizo, cheese and your choice of grilled steak, chicken, or shrimp. Covered with lettuce, sour cream, guacamole, pico de gallo, and shredded cheese. Corn tortilla chips topped with beans and your choice of grilled steak,chicken, or shrimp. Cooked with onions, pineapple, and chorizo. Covered with lettuce, sour cream, pico de gallo, and cheese. Corn tortilla chips topped with beans and your choice of grilled steak, chicken, or shrimp, cooked with jalapeno peppers. Covered with lettuce, sour cream, pico de gallo, and shredded cheese. Corn tortilla chips topped with our famous sizzling fajita, made with your choice of grilled chicken, steak, or shrimp. Corn tortilla chips topped with beans, steamed broccoli, cauliflower, carrots, and your choice of grilled chicken, steak, or shrimp, covered with cheese dip. Corn tortilla chips topped with beans and your choice of grilled chicken, grilled steak, or grilled shrimp. Covered in cheese dip with sour cream, fresh jalapenos, pico de gallo, and shredded cheese. Corn tortilla chips topped with rice and your choice of grilled steak, chicken, or shrimp. Covered with cheese dip and sour cream. Seasoned ground beef mixed with fresh homemade pico de gallo and our famour white cheese dip. Grilled Chicken on a bed of lettuce, tomatoes, bell peppers, onions, cucumbers, and avocado, topped with shredded cheese. Grilled Steak on a bed of lettuce, tomatoes, bell peppers, onions, cucumbers, and avocado, topped with shredded cheese. Grilled Shrimp on a bed of lettuce, tomatoes, bell peppers, onions, cucumbers, and avocado, topped with shredded cheese. Lettuce, bell peppers, onions, cucumbers, tomatoes, and avocado, topped with shredded cheese. Lettuce, bell peppers, onions, cucumbers, tomatoes, and homemade spicy guacamole dip, topped with shredded cheese. Filled with your choice of meat, topped with rice, whole beans, cheese, lettuce, sour cream, guacamole dip, and pico de gallo. Big homemade shrimp broth with 10 shrimp, cooked with broccoli, cauliflower, celery, carrots, and a hint of spicy red sauce, served with shredded cheese, crispy tortilla chips, and sour cream. Big bowl of chicken broth with roasted chicken, cooked with broccoli, cauliflower, onions, tomatoes, carrots, jalapenos, cilantro, and hint of spicy red sauce to make it flavor, served with shredded cheese, crispy tortilla chips, and sour cream. Big bowl of whole bean soup, cooked with bacon, onions, green peppers, tomatoes, and cilantro. Three enchiladas made with corn tortillas, one with beef topped with red enchilada sauce, one with cheese topped with white cheese dip, and one with chicken topped with green tomatillo sauce. Served with lettuce, sour cream, and pico de gallo. Four enchiladas made with corn tortillas, one beef, one cheese, one chicken, and one bean, topped with red enchilada sauce, melted cheese, lettuce, sour cream, and tomatoes. 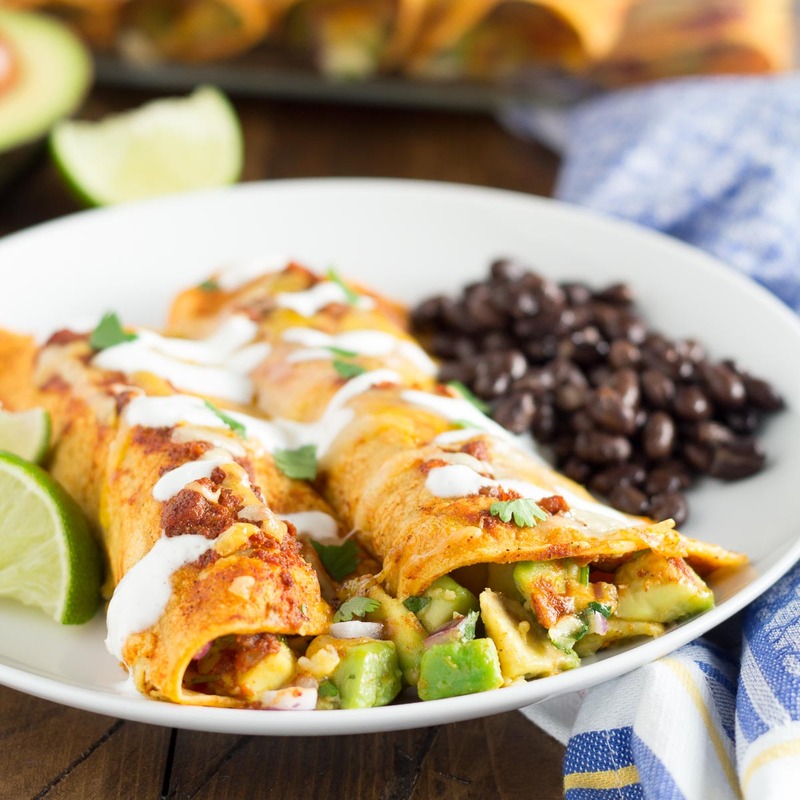 Four enchiladas made with corn tortillas, filled with your choice of ground beef, shredded chicken, cheese, or shredded beef, grilled chicken, or steak, topped with cheese dip and green tomatillo sauce. Served with lettuce, sour cream, and pico de gallo. Three cheese enchiladas made with corn tortillas, topped with red enchilada sauce, melted cheese, and grilled shrimp. cooked with onions, bell peppers, and tomatoes with white cheese dip, served with rice, lettuce, sour cream, and pico de gallo. Three enchiladas made with corn tortillas, filled with cheese and fresh onions, topped with spicy Chile Colorado sauce and melted cheese, served with rice, lettuce, sour cream, and pico de gallo. Three enchiladas made with corn tortillas, filled with spinach and cheese, topped with spinach dip and served with rice and beans. Three enchiladas made with corn tortillas, one with beef topped with red sauce, one with cheese toppped with white cheese dip, one with chicken topped with green tomatillo sauce, served with rice and beans. 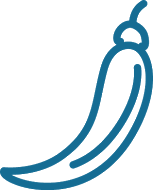 Choose any two of the following: Chile Poblano, Tamale, Taco, Quesadilla, Chile Relleno, Empanada, Burrito, Enchilada, Tostada, Chalupa, Taquito, Flauta, Chile con Queso, and/or Taco Supreme. Available fillings: Cheese, Ground Beef, Shredded Chicken, Shredded Beef, Beans, Spinach, Grilled Chicken, Grilled Steak, or Shrimp. Served with rice and beans. Choose any three of the following: Chile Poblano, Tamale, Taco, Quesadilla, Chile Relleno, Empanada, Burrito, Enchilada, Tostada, Chalupa, Taquito, Flauta, Chile con Queso, and/or Taco Supreme. Available fillings: Cheese, Ground Beef, Shredded Chicken, Shredded Beef, Beans, Spinach, Grilled Chicken, Grilled Steak, or Shrimp. Served with rice and beans. Steak, chicken, shrimp, and grilled tilapia fillet with sauteed onions, bell peppers, and tomatoes, served with rice beans, lettuce, sour cream, spicy guacamole dip, pico de gallo and flour or corn tortillas. Steak, chicken, shrimp, and spicy chorizo with sauteed onions, bell peppers, and tomatoes, served with rice beans, lettuce, sour cream, spicy guacamole dip, pico de gallo and flour or corn tortillas. 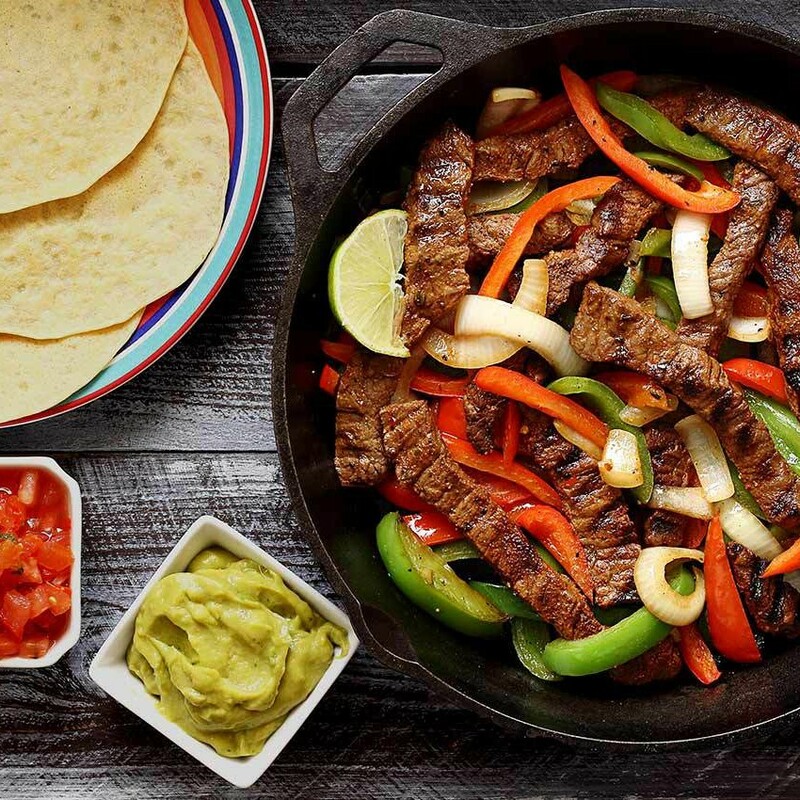 Mexican-style fajitas with steak, chicken, shrimp, spicy chorizo, and carnitas with sauteed onions, bell peppers, and tomatoes, served with rice beans, lettuce, sour cream, spicy guacamole dip, pico de gallo and flour or corn tortillas. Steak, chicken, or shrimp, with sauteed onions, bell peppers, and tomatoes, and pineapples. 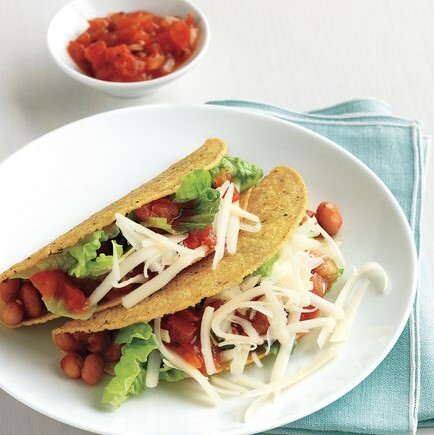 Served with rice beans, lettuce, sour cream, spicy guacamole dip, pico de gallo and flour or corn tortillas. Grilled chicken, steak, or shrimp, cooked with bacon, onions, bell peppers, and tomatoes, topped with melted Chihuahua cheese. 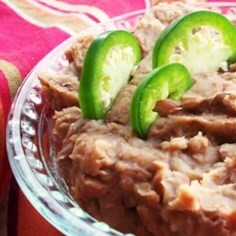 Served with rice beans, lettuce, sour cream, spicy guacamole dip, pico de gallo and flour or corn tortillas. Grilled chicken, steak, or shrimp, cooked with jalapenos, onions, and tomatoes. Served with rice beans, lettuce, sour cream, spicy guacamole dip, pico de gallo and flour or corn tortillas. Grilled chicken, steak, and shrimp, with sauteed onions, bell peppers, and tomatoes. Served with rice beans, lettuce, sour cream, spicy guacamole dip, pico de gallo and flour or corn tortillas. Twelve seasoned jumbo shrimp with sauteed onions, bell peppers, and tomatoes, topped with a grilled tilapia fillet. Served with rice beans, lettuce, sour cream, spicy guacamole dip, pico de gallo and flour or corn tortillas. 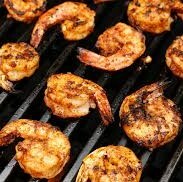 Grilled chicken, steak, or shrimp, cooked with whole Chipotle peppers, onions, and tomatoes. Served with rice beans, lettuce, sour cream, spicy guacamole dip, pico de gallo and flour or corn tortillas. 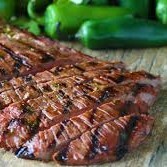 Grilled, seasoned beef liver cooked with jalapeno peppers, onions, and tomatoes. Served with rice beans, lettuce, sour cream, spicy guacamole dip, pico de gallo and flour or corn tortillas. Steak, chicken, or shrimp, cooked ranch-style with onions, tomatoes, and Mexican cactus. Served with rice beans, lettuce, sour cream, spicy guacamole dip, pico de gallo and flour or corn tortillas. Steak, chicken, or shrimp, cooked with onions, tomatoes, and bell peppers, topped with melted Chihuahua cheese. Served with rice beans, lettuce, sour cream, spicy guacamole dip, pico de gallo and flour or corn tortillas. A large flour tortilla stuffed with cheese, then grilled to perfection. Served with rice, beans, sour cream, guacamole, and pico de gallo. A large flour tortilla stuffed with spinach and cheese, then grilled to perfection. Served with rice, beans, sour cream, guacamole, and pico de gallo. A large flour tortilla stuffed with mushrooms and cheese, then grilled to perfection. Served with rice, beans, sour cream, guacamole, and pico de gallo. A large flour tortilla stuffed with chorizo and cheese, then grilled to perfection. Served with rice, beans, sour cream, guacamole, and pico de gallo. A large quesadilla filled with steak, beans, and cheese, served with rice, lettuce, sour cream, guacamole, and pico de gallo. Filled with your choice of meat, topped with white cheese dip. Served with rice, beans, sour cream, guacamole, and pico de gallo. Filled with your choice of grilled chicken, steak, or shrimp, cooked with sauteed bell peppers, onions, and tomatoes. Served with rice, beans, sour cream, guacamole, and pico de gallo. 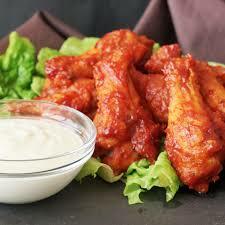 Filled with your choice of meat, topped with spicy red sauce and cheese dip. Served with rice, beans, sour cream, guacamole, and pico de gallo. Large flour tortilla stuffed with meat, deep fried to a golden brown, and topped with cheese dip. Served with rice, beans, lettuce, sour cream, picy guacamole, and pico de gallo. Large flour tortilla stuffed with chicken, steak, and shrimp, deep fried to a golden brown, and topped with cheese dip. Served with rice, beans, lettuce, sour cream, picy guacamole, and pico de gallo. Large flour tortilla stuffed with your choice of grilled chicken, steak, or shrimp cooked with jalapeno peppers, onions, and tomatoes., then deep fried to a golden brown, and topped with cheese dip. Served with rice, beans, lettuce, sour cream, picy guacamole, and pico de gallo. Large flour tortilla stuffed with your choice of grilled chicken, steak, and/or shrimp cooked with grilled onions, bell peppers, and tomatoes., then deep fried to a golden brown, and topped with cheese dip. Served with rice, beans, lettuce, sour cream, picy guacamole, and pico de gallo. Three mini chimichangas, one grilled shrimp, one ground beef, and one shredded chicken, deep fried to a golden brown, and topped with cheese dip. Served with rice, beans, lettuce, sour cream, picy guacamole, and pico de gallo. Large flour tortilla stuffed with your choice of meat, topped with red spicy sauce and cheese dip, served with salad, rice, and beans. Three spinach and cheese enchiladas, topped with spinach dip, served with lettuce and pico de gallo. A large quesadilla filled with cauliflower, carrots, broccoli, onions, peppers, tomatoes, and cheese, served with rice, beans, lettuce, sour cream, guacamole, and pico de gallo. Sauteed onions, green peppers, mushrooms, and tomatoes, mixed with steamed broccoli, cauliflower, and carrots, served with rice, beans, lettuce, sour cream, guacamole, pico de gallo, and tortillas. A super-large burrito filled with beans, sauteed onions, bell peppers, tomatoes, broccoli, cauliflower, and carrots, topped with cheese dip, lettuce, sour cream, guacamole, and pico de gallo. Homemade bowl flour tortillas filled with beans, steamed broccoli, cauliflower, carrots, sauteed onions, bell peppers, and tomatoes, topped with cheese dip, lettuce, sour cream, guacamole, and pico de gallo. 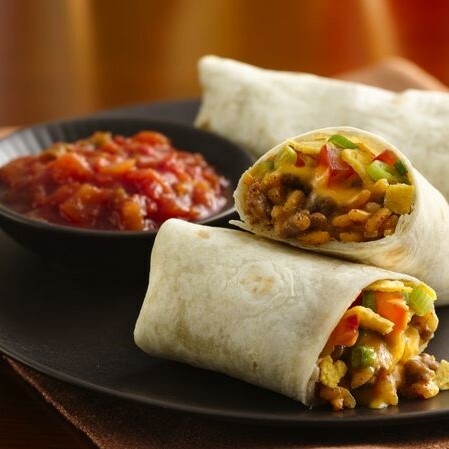 Two large bean burritos, topped with grilled onions, tomatoes, green peppers, and cheese dip. Steamed broccoli, cauliflower, and carrots, on a bed of Mexican rice, topped with cheese dip. 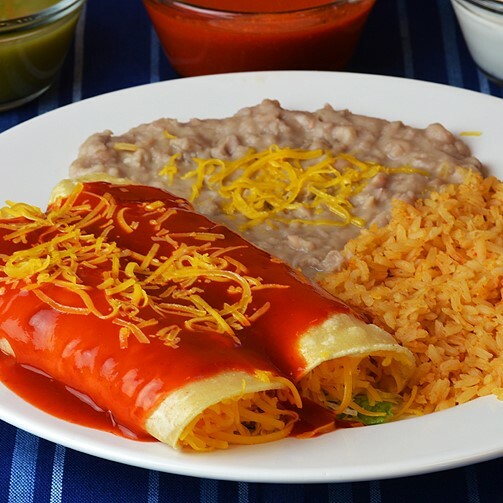 Three cheese and onion enchiladas, topped with red enchilada sauce and melted cheese, served with rice and beans. Jumbo shrimp, cooked with our homemade spicy red sauce, served with rice, avocado salad, and tortillas. Jumbo Shrimp cooked with onions, tomato sauce, jalapeno peppers, cilantro, and mushrooms ranch-style, served with rice, avocado salad, and tortillas. Jumbo shrimp grilled and served on a bed of Mexican rice, topped with cheese dip and soft tortillas. Jumbo shrimp cooked with green tomatillo sauce and jalapeno dip, served with rice, beans, and tortillas. Jumbo shrimp sauteed with garlic and butter, served with rice, avocado salad, and tortillas. Jumbo shrimp breaded and deep-fried, served with rice, avocado salad, and tortillas. Grilled jumbo shrimp with sauteed onions, jalapeno peppers, tomato and cilantro, served on a bed of Mexican rice, topped with white cheese dip and served with avocado salad and tortillas. Grilled jumbo shrimp on a bed of Mexican rice, broccoli, cauliflower and carrots, topped with white cheese dip. A super large shrimp cocktail served Mexican style with saltine crackers. Grilled jumbo shrimp with sauteed onions, tomatoes, and green peppers, served on a bed of rice, broccoli, cauliflower, and carrots, topped with cheese dip, and a grilled, seasoned tilapia fillet. Two grilled, seasoned tilapia fillets served with rice, avocado salad, and tortillas. Whole tilapia (bone-in with scales) seasoned and deep fried, served with rice, avocado salad, and tortillas. A whole tilapia, seasoned and deep fried, topped with our very lovely spicy sauce, served rice, avocado salad, and tortillas. Grilled salmon sauteed with garlic butter, served with rice and lime avocado salad. Three soft flour or corn tortillas filled with grilled tilapia, cooked with onions and cilantro, served with rice, avocado salad, and hot sauce on the side. Three soft flour or corn tortillas filled with grilled shrimp, cooked with onions and cilantro, served with rice, avocado salad, and hot sauce on the side. Shrimp cured in lime juice, served with chunks of jalapenos, tomatoes, onions, cilantro, cucumbers, and salt. Bread stuffed with mayo, beans, and your choice of Milanesa de pollo or steak, eggs, and bacon, garnished with lettuce, avocado, jalapenos, onions, and tomatoes. Bread stuffed with mayo, beans, turkey breast, and cheese. With lettuce, avocado, jalapenos, onions and tomatoes. Bread stuffed with mayo, beans, country fried chicken, garnished with lettuce, avocado, onions, jalapenos, tomato. Bread soaked with our homemade Chile Colorado sauce, then grilled to perfection, stuffed with mayo, and your choice of either Scrambled Eggs, Mashed Potatoes w/Chorizo, Milanesa de Pollo or Steak. Garnished with lettuce, jalapenos, onions, tomatoes,and avocado. 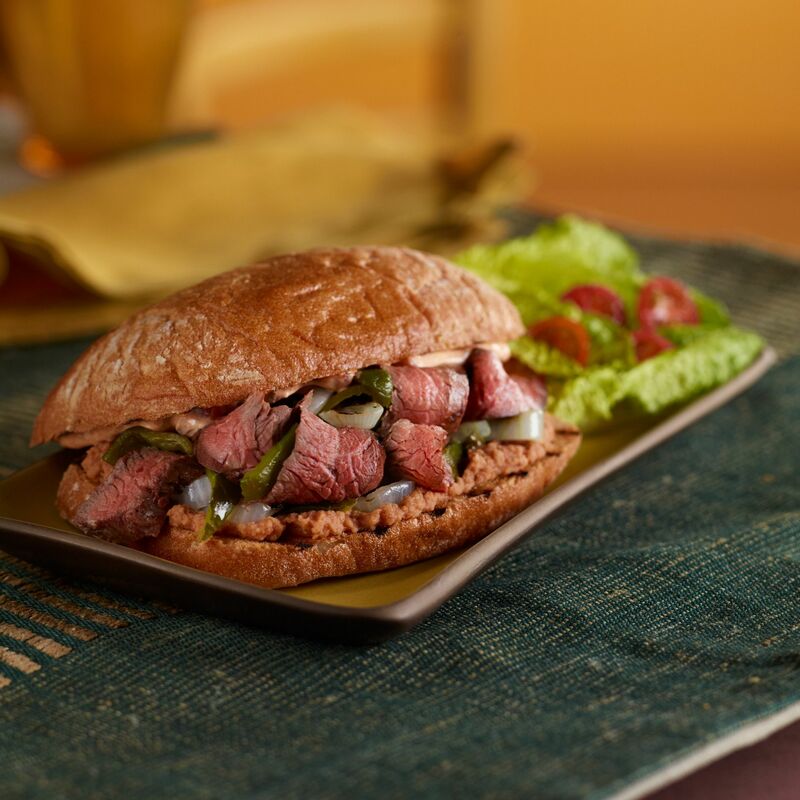 Bread stuffed with grilled steak, cooked with onions and peppers, covered with melted cheese and mayo, garnished with lettuce, avocado, jalapenos, onions, and tomatoes. Served with French Fries. Two burgers with cheese and mayo, garnished with lettuce, jalapenos, avocado, onions, and tomatoes, served with French Fries. 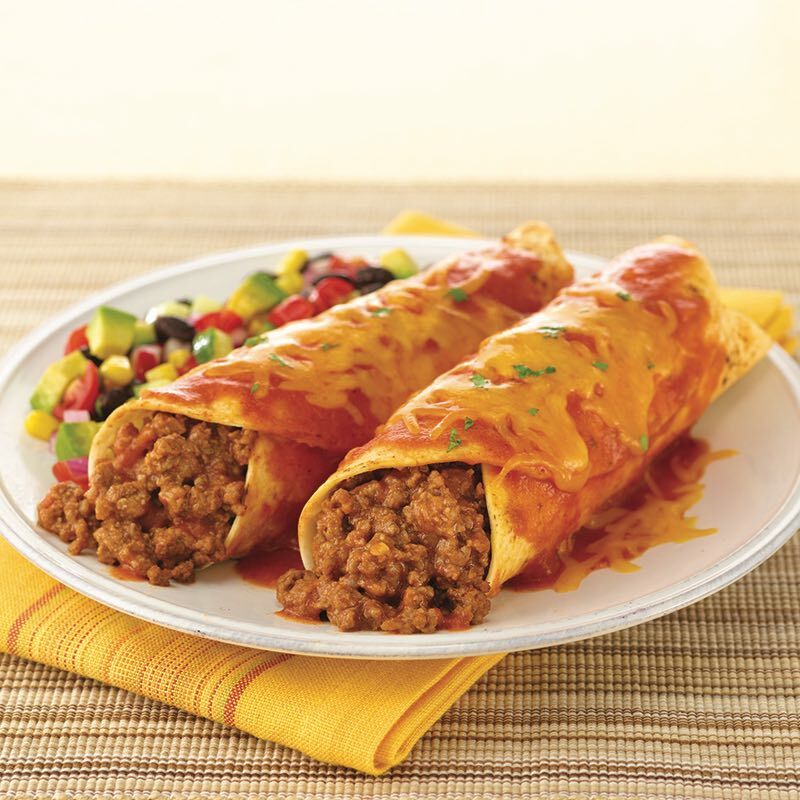 Large flour tortilla filled with your choice of ground beef, shredded beef, or shredded chicken, topped with red sauce, melted cheese, lettuce, sour cream, and tomatoes, served with rice and beans. Large flour tortilla filled with beans, steak, sauteed onions, and green peppers topped with green sauce and cheese dip, served with rice, lettuce, sour cream, and pico de gallo. Your choice of meat topped with cheese dip, sour cream, guacamole, pico de gallo, lettuce, served with rice and beans. A super large flour tortilla stuffed with your choice of meat, rice, beans, lettuce, sour cream, and pico de gallo, topped with cheese dip. A super large flour tortilla stuffed with your choice of meat, rice, beans, Chile Colorado Sauce, and melted cheese. Topped with sour cream and pico de gallo. Large flour tortilla filled with your choice of grilled shrimp, chicken, or steak, cooked with jalapeno peppers, onions, and tomatoes, topped with cheese dip,served with rice and beans. A large flour tortilla filled with beans and your choice of grilled meat with spicy Chile Colorado Sauce and melted cheese, served with rice, lettuce, sour cream, and pico de gallo. A super large flour tortilla stuffed with your choice of steak, shrimp, or chicken, with sauteed onions, green peppers, tomatoes, rice and beans, topped with white cheese dip, lettuce, sour cream, and pico de gallo. A super large flour tortilla with your choice of grilled chicken, steak, or shrimp, with rice, beans, lettuce, sour cream, and pico de gallo. 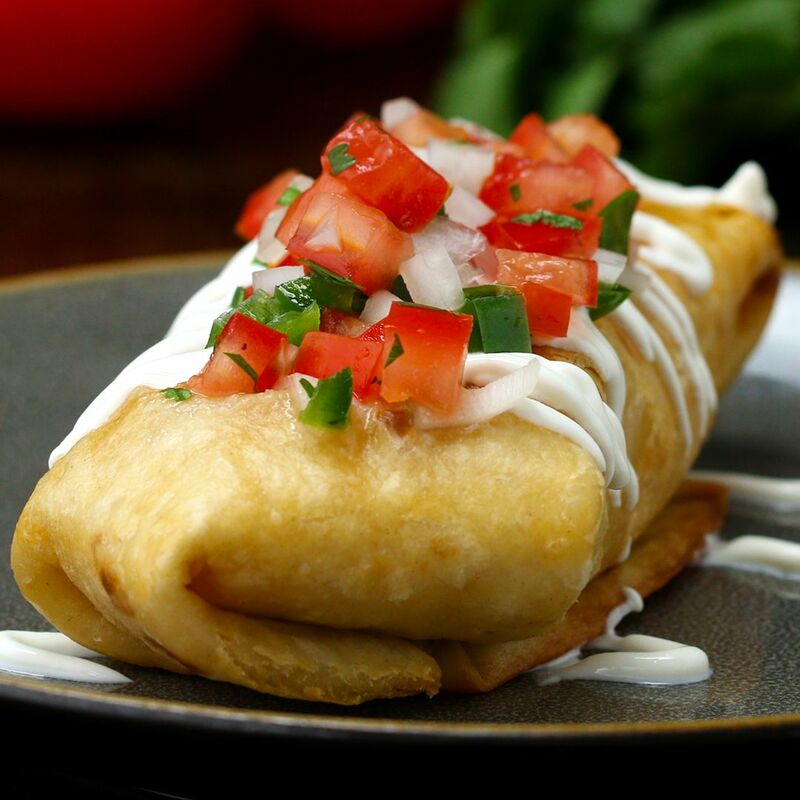 A large deep-fried burrito filled with your choice of shredded chicken, ground beef, or shredded beef, covered with tomato sauce, cheese dip, sour cream, and pico de gallo. Served with rice and beans. A super large flour tortilla filled with your choice of grilled chicken, steak, or shrimp, with rice, beans, ettuce, sour cream, and pico de gallo, white cheese dip and sauteed onions, jalapenoes, tomatoes. Three large Burritos, one with Shredded Chicken topped with cheese and green sauce, one with beans topped with white cheese dip, and one with ground beef topped with cheese and red sauce. 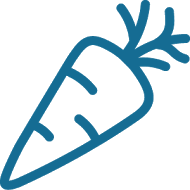 Served with lettuce, sour cream, and pico de gallo. A super large flour tortilla filled with rice, beans, lettuce, sour cream, pico de gallo, and your choice of grilled meat, topped with cheese dip and chipotle sauce. A Super Large flour tortilla stuffed with steak, chicken, shrimp, and chorizo, cooked with onions, peppers, and tomatoes, with rice and beans inside, topped with cheese dip, lettuce, sour cream, and pico de gallo. A super large flour tortilla filled with your choice of ground beef, shredded beef, or shredded chicken, topped with red burrito sauce and melted cheese, covered with lettuce, sour cream, and tomatoes. Large flour tortilla stuffed with your choice of shredded chicken, ground beef, or shredded beef, topped with burrito sauce and melted cheese, served with rice and beans. A little bit of everything. One beef taco, one bean chalupa, one chicken chile relleno, one tamale, and one cheese enchilada, served with rice and beans. One chicken burrito, one beef enchilada, topped with lettuce, avocado slices, sour cream, pico de gllo, and shredded cheese. Four rolled corn tottillas stuffed with your ground beef, shredded beef, shredded chicken, served with lettuce, sour cream, guacamole, and pico de gallo. Four rolled flour tortillas stuffed with your choice of shredded beef, shredded chicken, or papa con chorizo, served with guacamole salad, sour cream, and pico de gallo. 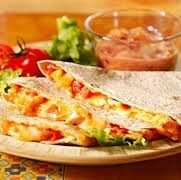 Three soft flour tortillas filled with grilled chicken or steak, lettuce, and cheese. served with rice and beans. A large baked potato, topped with grilled chicken, shrimp, and/or steak, sauteed onions, bell peppers, tomatoes, cheese dip, and sour cream. Grilled chicken & steak with sauteed onions, bell peppers, and tomatoes in a big bowl of real molcajete, topped with a very tasty spicy red sauce, garnished with baby onions, slice of grilled steak, grilled chicken breast, and whole cactus leaf, topped with cheese. Served with rice, beans, guacamole salad, sour cream, pico de gallo, and soft tortillas. Grilled shrimp with sauteed onions, bell peppers, and tomatoes, in a big bowl of real molcajete. Topped with red spicy sauce, two grilled tilapia fillets, a whole cactus leaf, and cheese. Served with rice, beans, lettuce, sour cream, guacamole, pico de gallo, and tortillas. Country-fried chicken, Mexican style, served with rice, beans, salad, and tortillas. Country-fried steak, Mexican style, served with rice, beans, salad, and tortillas. Steak or chicken,cooked with our homemade red chile Colorado sauce, served with rice, beans, or tortillas. Thin slice of grilled steak, served with rice, beans, salad, and tortillas. Grilled T-bone steak, topped with our homemade red spicy Chile Colorado sauce, served with rice, beans and tortillas. A grilled T-bone topped with sauteed onions, jalapeno peppers and tomatoes, served with rice, beans, and tortillas. A grillled seasoned T-bone steak, two over-easy eggs, served with avocado salad and French Fries. Grilled seasoned T-bone, topped with grilled seasoned Mexican cactus, served with rice, beans, and tortillas. A grilled season T-bone steak, topped with grilled shrimp, served with rice, avocado salad, and tortillas. Thin slice of grilled steak, topped with sauteed onions, tomatoes, jalapeno peppers, mushrooms, and melted cheese. Served with rice, beans, and tortillas. Season chunks of Steak, cooked with onions, jalapenos, tomatoes, and cilantro. Served with rice, beans, and tortillas. Served with rice, beans, avocado salad, tortillas, and jalapeno toranado. Grilled chicken on a bed or rice, steamed broccoli, cauliflower, and carrots, topped with white cheese dip. Grilled steak on a bed or rice, steamed broccoli, cauliflower, and carrots, topped with white cheese dip. Grilled chicken breast topped with grilled shrimp, cooked with chorizo and melted cheese. Served with rice, beans, and tortillas. Grilled chicken breast topped with sauteed onions, jalapeno pepper, tomatoes, mushrooms, and melted cheese. Served with rice, beans, and tortillas. Grilled chicken breast topped with white cheese dip. Served with rice, beans, lettuce, sour cream, pico de gallo, and tortillas. Grilled chicken breast topped with bacon, pineapple, saueed onions, bell pepper, tomato, melted cheese. Served with rice, beans, and tortillas. A grilled chicken breast on a bed of sauteed vegetables, topped with cheese dip and pineapples. Served with rice, beans, lettuce, sour cream, guacamole, pico de gallo,and tortillas. Filled with either beans, cheese, chicken, or beef, topped with cheese dip. Hard or soft-shell filled with shredded chicken or beef. Filled with either cheese, shredded chicken, or shredded beef, topped with cheese dip. Served with your choice of Grilled Steak, Grilled Chicken, shredded Beef or shredded Chicken, with cheese, lettuce, sour cream, and tomatoes.